Receive a delicious, fresh box of local veg AND fruit, together every week. 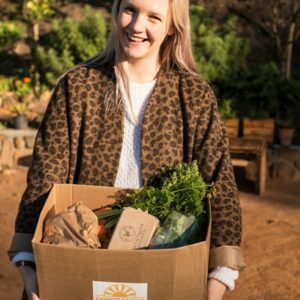 Get the best of the veg box and fruit box subscriptions, and pay less! Please note that this combo box option is only available with the standard size veg box. 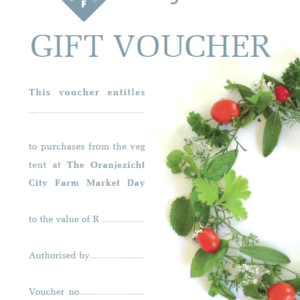 If you are interested in a combo with the small veg box, please e-mail us at vegbox@ozcf.co.za. The veg comes from OZCF grown without chemicals or pesticides, and topped up with a special item from the Harvest of Hope gardens or a partner trader. Each box includes 10 items and the cost normally averages R195 per week or R19.50 per item. A R5 credit will accrue for each week when you bring your own bag to pack the produce into. The fruit is the freshest local, seasonal fruit on offer from the same small local farmers we source from for our Saturday Market Day. Each box has approximately 10 items and the cost normally averages R80 per week with 2 to 4 different kinds of fruit depending on the size, season, cost and availability. 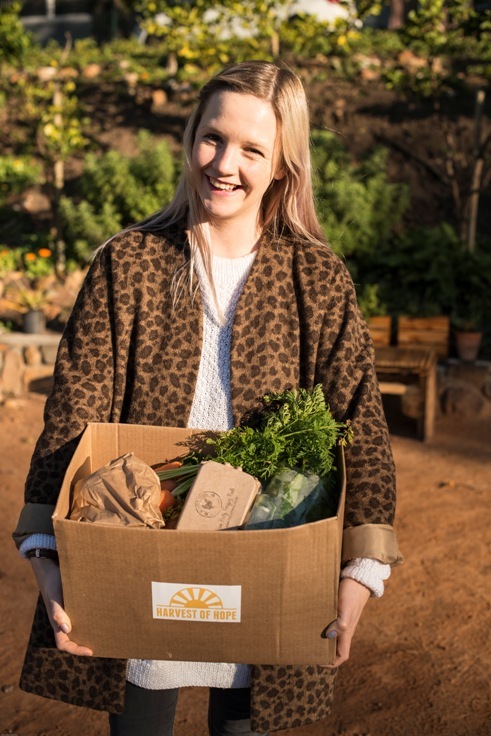 Combo boxes need to be physically collected by the recipient or a person designated by them every week during the subscription period at the Oranjezicht City Farm on Wednesday afternoons between 14h30 – 18h30. For a Veg Box or Fruit Box only, please select those product options separately.